Toji, 1971, vol. 6, Kakiemon and Nabeshima, nos. 64 and 65. 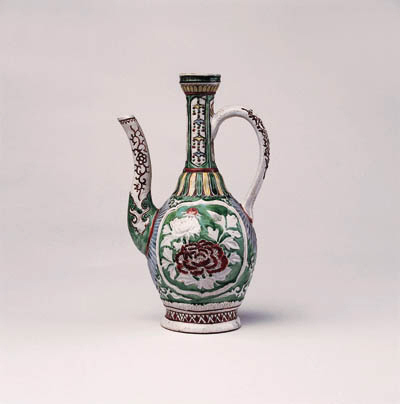 Other examples are illustrated.in Imaizumi, Polychrome Fine Ceramics in Japan, Ko-Imari and Kakiemon, p. 129, pl. 56, Suntory Museum of Art, Tokyo, Japanese Ceramics Exhibition, Catalogue, 1988, p. 31, pl. 8. Further examples are in the British Museum, and the Fitzwilliam Museum, Jenyns loan no. 33.